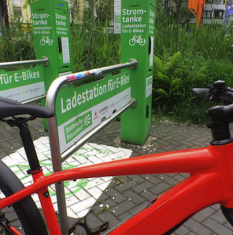 The European Bicycle Manufacturers’ Association has filed an anti-dumping complaint with the European Commission against cheap Chinese e-bike imports. The Commission less than a month to determine whether to start an investigation. The EBMA is also preparing a related complaint alleging illegal subsidies and asking for registration of Chinese e-bike imports. Chinese bicycles have been subject to EU anti-dumping duties since 1993. Article continues belowEBMA says more than 430,000 Chinese e-bikes were sold in the EU in 2016, a 40 percent increase on the previous year, and forecasts the figure will rise to around 800,000 in 2017.